An Iranian patrol boat trained a crew-served weapon on a Navy MH-60R Seahawk helicopter as a U.S. carrier strike group transited the Strait of Hormuz on Saturday, two defense officials confirmed to USNI News. During a routine daylight transit of the Eisenhower Carrier Strike Group through the strait linking the Persian Gulf to the Gulf of Oman and the Arabian Sea, two Iranian Revolutionary Guard Corps Navy fast patrol boats tailed the CSG, the officials said. The CSG launched an MH-60R Seahawk to investigate the vicinity and monitor the boats during the transit of the carrier and its escorts. 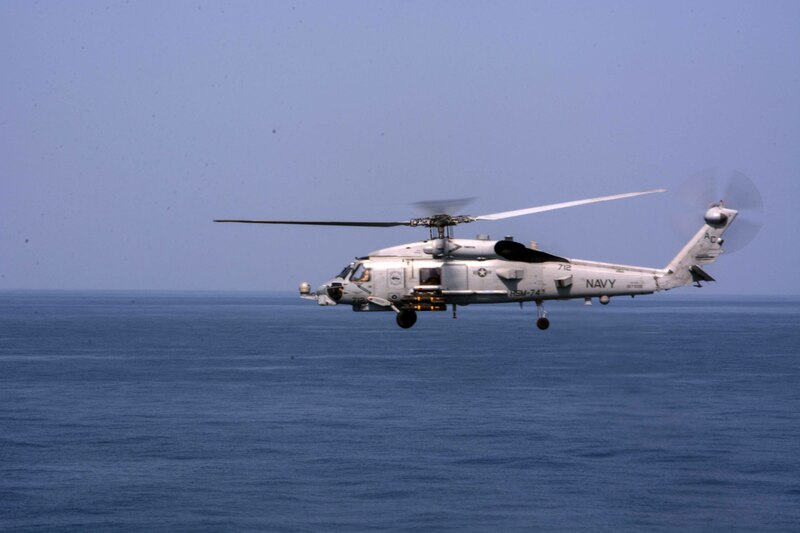 At about a half mile from the helicopter, the crew of one of the two boats trained their weapon on the helicopter twice before the helicopter returned to USS Eisenhower (CVN-69). The patrol boats did not come close to the carrier itself, the officials said. ABC News quoted officials who said the crew of the helicopter felt they weren’t in danger during the encounter. The action by the IRGCN is the latest of more than two-dozen actions in the last year deemed “unprofessional and unsafe,” by the Pentagon, USNI News understands. 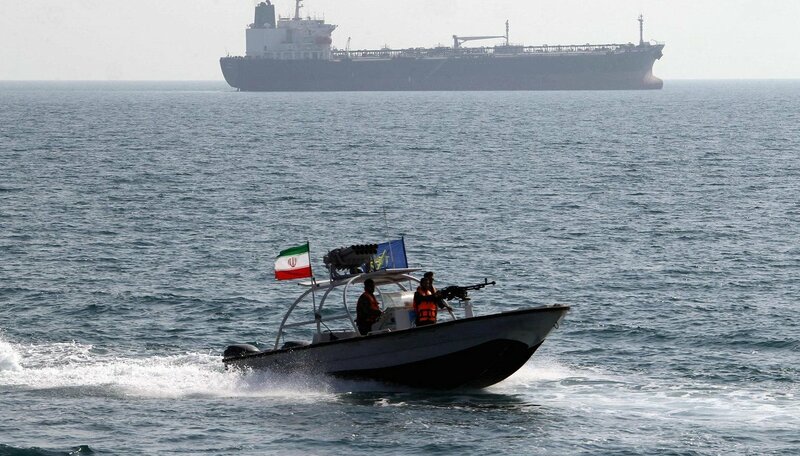 In late August and September, IRGCN patrol boats harassed U.S. ships operating in the Persian Gulf in several instances in what appeared to one expert asked by USNI News as a coordinated action from higher sectarian authorities. “These are not rogue acts by local IRGC naval units. Such behavior would be green lit from the top IRGC command, and probably have the supreme leader’s tacit blessing,” Afshon Ostovar, an assistant professor of national security affairs at the Naval Postgraduate School and author of a book about the IRGC, told USNI News in September following the incidents. The IRGCN, separate from the regular Iranian military, reports to the sectarian wing of Iran’s government and been responsible for the coastal defense of Iran since 2007. Since they took the responsibility the IRGCN has been involved in several high-profile incidents that have drawn the ire of the international community – including capturing and holding British sailors in 2007, the 2015 seizure of M/V Maersk Tigris and the January capture of 10 U.S. riverine sailors near Farsi Island in the Persian Gulf. Sam LaGrone is the editor of USNI News. He was formerly the U.S. Maritime Correspondent for the Washington D.C. bureau of Jane’s Defence Weekly and Jane’s Navy International. He has covered legislation, acquisition and operations for the Sea Services and spent time underway with the U.S. Navy, U.S. Marine Corps and the Canadian Navy.